This film released in 2014 with support from Patagonia makes an excellent case in support of dam removal. Friends of the Eel River highly recommends DamNation as an educational and inspirational resource. 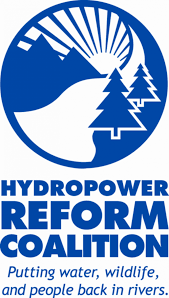 The Hydropower Reform Coalition has great resources on hydropower, the Federal Energy Regulatory Commission, and the effects of dams on river systems. Why We Remove Dams, examples of how dams can harm rivers. Dam Effects, an interactive site showing how dams effect rivers. Click here to learn about Sonoma County Water Agency and their management of Eel River water flowing in the Russian River.